Instant smiles... Just add our Perfectly Pleasing™ daisy bouquet! This gorgeous floral gift brightens any desk or table with your tasteful sentiments for a special birthday, Thank You, or Just Because! 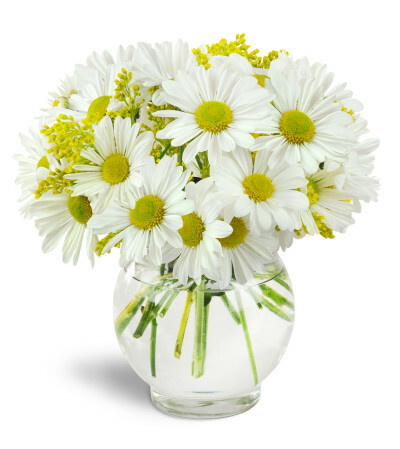 Big, luscious classic white daisies are complemented by lovely golden solidago in a classic clear glass bubble vase. 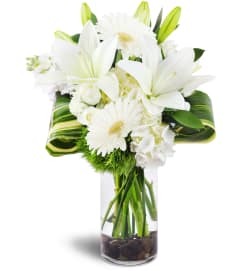 White daisies and golden solidago flowers are beautifully arranged to pop out of an adorable clear glass bubble vase.